AJ's Seafood & Oyster Bar - Destin, FL (pictured on the right) Located on Destin's harbor, this is our favorite "wet spot" in Destin. AJ's has one of the best views around, with boats of all kind coming and going through the harbor. You're sure to see your "dream boat" while sitting at the open-decked bar and enjoying a cocktail. The deck starts kicking at 4pm with live music seven days a week until 4am. AJ's also offers a two hour cruise on the "Sea Blaster", which is a bargain with free beer and wine. We do this every time we visit Destin, and often see dolphin. The "Sea Blaster" truly is our favorite "tourist" thing to do in Destin, FL. Want a "wet spot" on a beautiful beach where you can also experience the ultimate setting for windsurfing and family? Chez Pat bar and restaurant on Galion Beach in St. Martin is the answer! Located on the eastern coast of St Martin, Galion Beach is exposed to the almost consant tradewinds. However, one of St. Martin's best reefs keeps the waters calm, making the bay a perfect place to not only learn windsurfing but for the kids to play as well. This "wet spot" is located on a remote island with fantastic fishing and beaches. If you don't have a boat, catch the ferry from Tortola and head over. The bar is on the beach serving their famous "Cow Killer" cocktail, as well as lunch and dinner. 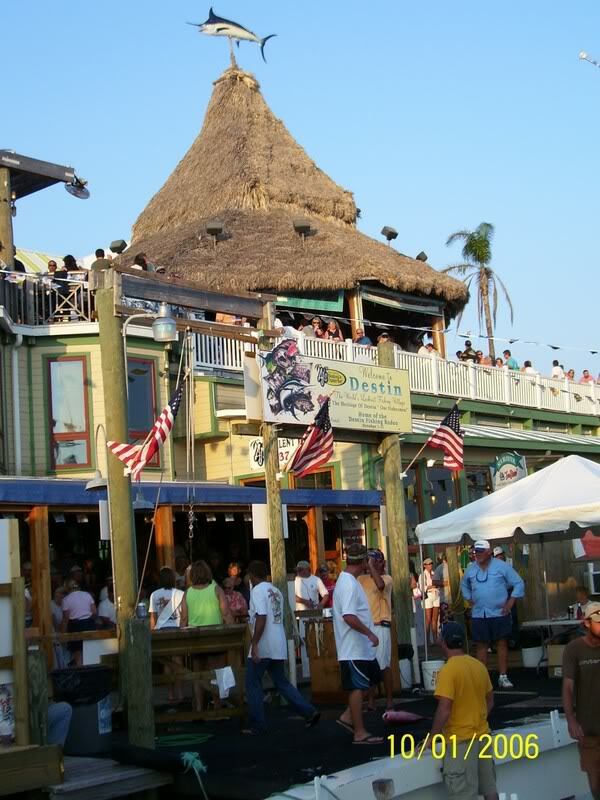 Cow Wreck Bar provides some of the best conch fritters, grilled steak and seafood around! Do you love a place with tropic tunes on the beach, with tons of people in their "wet suits" gathering for a cocktail? If so, then you will love Duke's! 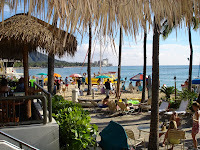 Located right on Waikiki Beach this was our favorite "wet spot" in Oahu. This place is always jumping with live concerts on the beach every Friday, Saturday and Sunday. Need a bite to eat? Duke's has burgers, sandwiches, pizzas and other great food. 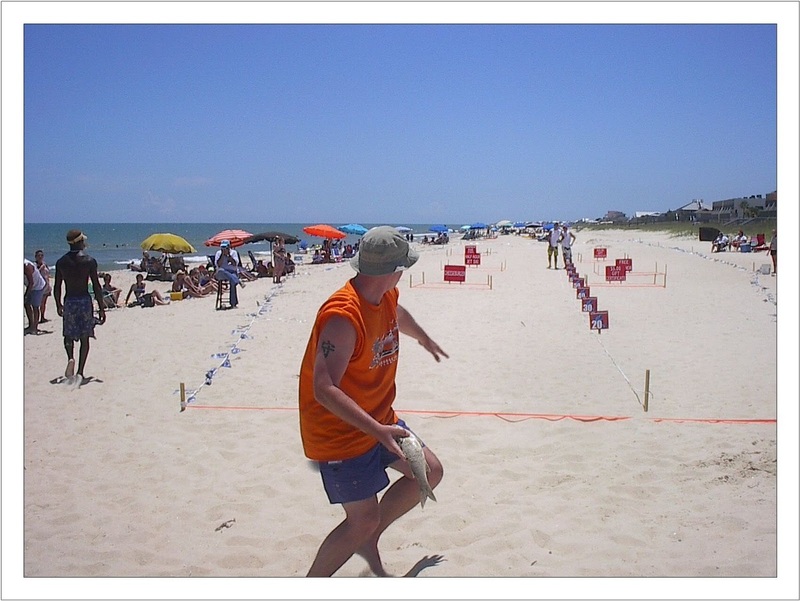 Located near the Florida and Alabama state line in Pensacola, this "wet spot" is home of the annual mullet toss on the beach. Live music, great food and scenic views are always on the menu! Known as one of the "Last Great Roadhouses". 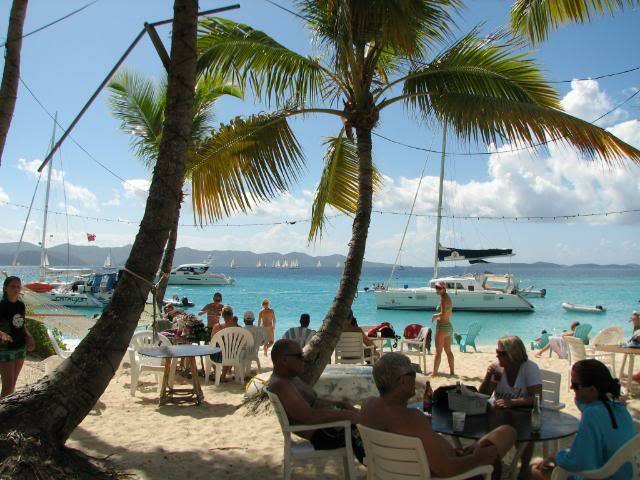 Foxy's Bar - Jost Van Dyke, BVI is open every day at 9:30 am, two hours before the kitchen! With fresh draft beers from the microbrewery and their specialty drinks made with their own rum, Foxy's will not disappoint! Every Friday and Saturday the grill is fired up for a delicious Caribbean barbecue, but the kitchen is always open. If you can't get here in your own boat, ferries are available to take you to the only microbrewery in the Virgin Islands. Located on the east side of St. Thomas, this is a fun "wet spot" with live music seven nights a week and great food and drinks. 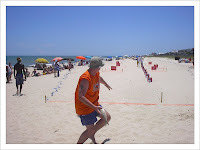 There's always something going on ... beach volleyball, outdoor concerts, and karoake to name a few. Enjoy "All You Can Eat" crab legs on Tuesday and Saturday nights. drinks in the local area. Located on the beach, this "wet spot" has a Caribbean style atmosphere with good food, live reggae music every night and their specialty drink, The Red Tide. Enjoy the ocean breeze while lounging at the Beach Club watching the sun go down! In the Nassau and Paradise Island area, this is the true beach bar! The large, raised deck overlooks the beach and sea ... providing fantastic views. 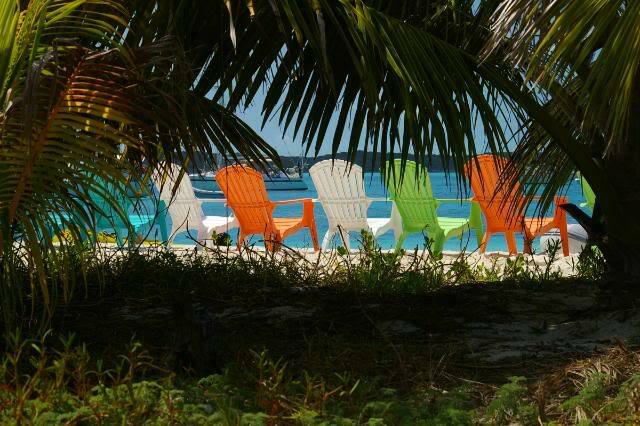 Lounge chairs and hammocks are tucked into the tropical foilage providing a perfect place to relax while listening to island music and enjoying one of their signature daiquiris. Located in the heart of downtown Key West, there's always a party going on! With live music starting at noon every day and going into the night, you can dance the night away while enjoying great seafood dishes, burgers, and steak sandwiches. Schooner's offers a variety of drinks including Schooner Lemonade, Rumrunners and Mango Daiquiris. There are three happy hours daily, starting first thing in the morning at 8am until noon, again from 5-7pm, and finally at 2-4am. Enjoy the fabulous views from the second level deck overlooking the water. If you want to arrive by boat and stay a while, Schooner's has 40 ft. slips available on a daily or monthly basis. Shaggy's is a great place to spend the day on the Mississippi Gulf coast! You can enjoy great seafood, live music, fantastic views of the water, and gorgeous sunsets! We've been to this "wet spot", as it's not too far from our home town and we go here whenever we need a "tropic" fix. 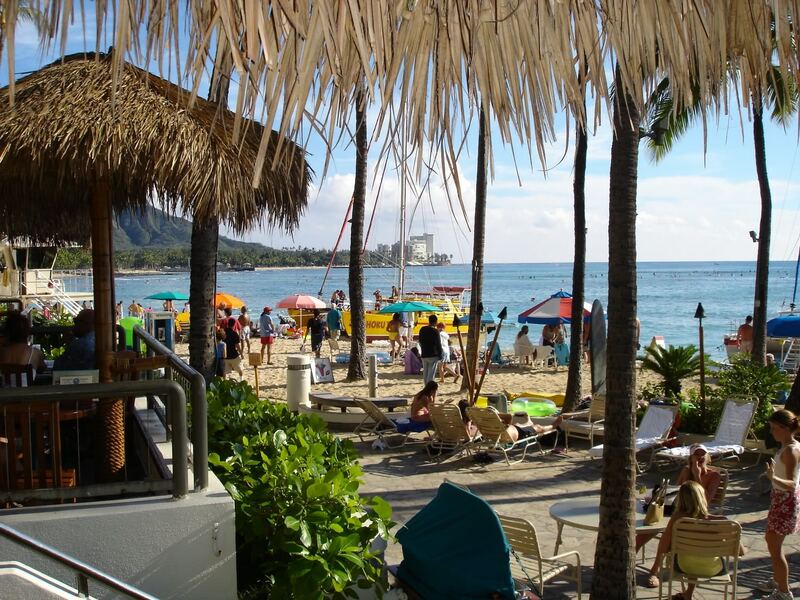 The Shorebird is not only where we renewed our vows, but is also a place we enjoyed hanging out at while in Hawaii. Located in the Outrigger Reef where we stayed (great place by the way), the Shorebird is also located on the beach and serves cocktails and food. If you're looking for something a little more laid back than Duke's, this is a great option! Also, steps away is a "Booze Cruise" on a catamaran which is a blast! All you can drink for two hours while enjoying sailing and beautiful views. We could have done this every day! Soggy Dollar Bar - Jost Van Dyke, BVI (pictured on right) This "wet spot" got its name because most of its customers are coming off of boats and their dollars are soggy. 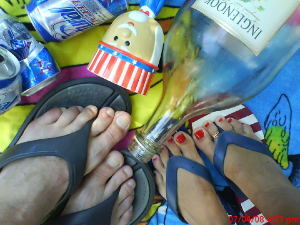 After wading through the clear blue waters, a "Painkiller" is the drink of choice. This is the real deal, a true tropical "wet spot" if you're lucky enough to be on the island of Jost Van Dyke in the British Virgin Islands. Do you have a "wet spot" you'd like to add? If you own a tropical "wet spot" that is clean and fun, add this badge to your site showing that you're a favorite of The Pickled Pirate! BADGE CODE (HTML) - JUST COPY AND PASTE!